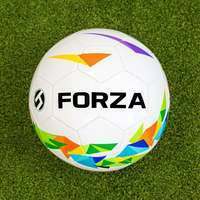 21ft x 7ft FORZA Alu60 Football Goals for senior training and junior matches. 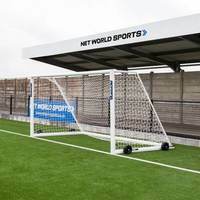 Premium 60mm reinforced aluminium goalposts with a 3mm thick HDPE goal net. 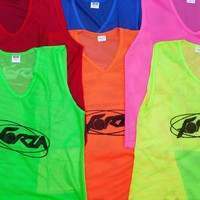 Single or pair. 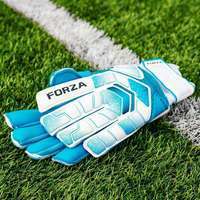 At 21 x 7, this premium quality football goal falls slightly short on the full size regulations for goals, making it perfect for use during senior match preparations. 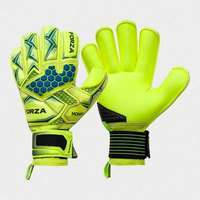 A true utility player, the versatile football goal can also be utilised as a high quality matchday goal for junior 11 v 11 clashes. 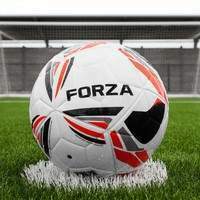 Mobility is a hallmark of freestanding football goals, allowing the goal to be moved from pitch to pitch with ease. 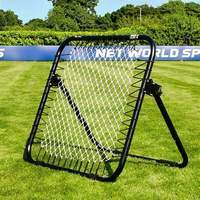 This hard-wearing aluminium goal is deceptively light in weight, and can be carried between playing venues by two people with exerting excessive amounts of energy pre-match. 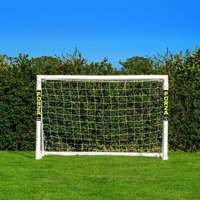 Cut out interruptions to your training during the season by acquiring this fully weatherproof 21 x 7 football goal. The powder coated aluminium posts negate the risk of rust and corrosion, while the included 3mm HDPE braided twine goal net performs optimally while avoiding fraying and rot. 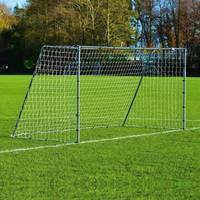 This 21 x 7 alu60 football goal represents the perfect way for senior sides to put in the groundwork ahead of upcoming fixtures. 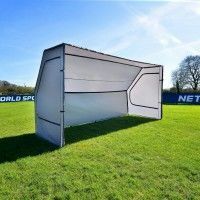 One size down from a regulation full size football goal, this premium goal replicates the conditions that will be found on the matchday pitch, providing a worthwhile training environment which will lead to improved results for your team. 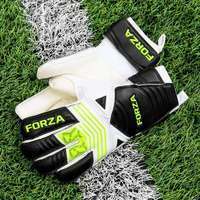 As well as playing its role as a premium senior training goal, the versatile 21 x 7 football goal also has the ability to be applied to junior 11 v 11 matches. 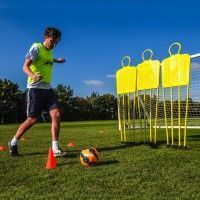 Consistency is key to maximising time spent of the training pitch, and the hard-wearing nature of this 21 x 7 aluminium football goal will help to convert practice into points. 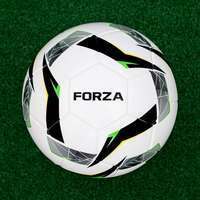 Made from 60mm reinforced aluminium, the tough goal posts have been designed with durability in mind, and the capacity to handle wildly struck shots for seasons to come without incurring damage. Wet and windy conditions won’t reach the powder coated posts either, as the fully weatherproof design keeps the framework free of rust and corrosion when left set up outdoors. 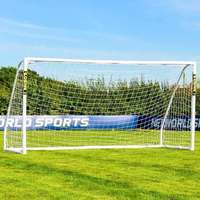 As well as solidifying the strength of the posts, the expert manufacturing has also been put in place to ensure that the goal is fully portable. 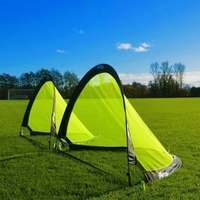 Heavy duty yet light in weight, the mobile football goal can be lifted and moved between pitches by two people, making it perfect for simultaneous use as a senior training and junior matchday goal. Its galvanised steel foldaway side frames makes the goal even easier to lift, as well as providing a method of saving space in your storage compartment. 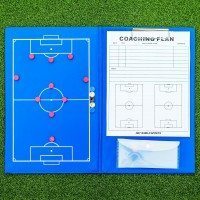 Freestanding and transportable, the training football goal is suitable for use on all surfaces. 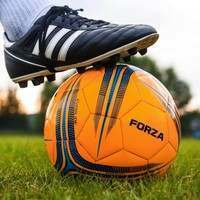 This 21 x 7 senior training football goal has been put to the test, resulting in an adherence to BS EN 8462 safety standards which provides peace of mind to those who wish to regularly and scrupulously use the aluminium football goal. The tough posts will remain rigid and upright throughout the most intense training sessions and junior matches, ensuring guaranteed safety to players. 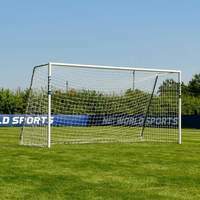 As well as premium goal posts, a HDPE football goal net is included alongside twist and lock net clips and anchor u-pegs.